As Licensed Insolvency Practitioners we often work closely with several key partners when giving help and advice to our clients. On this page you can find links to some of these partners, many of whom specialise in providing funding solutions. Also featured are links to key industry bodies that we are members of or associated with. Click here to see some of our testimonials. The friend of the SME since 1993, for finance to keep cash flowing, fund expansion, or to cover that VAT bill. Beer & Young provide business finance for struggling companies. They are experts in business angels and private equity. Bibby are the UK’s largest independent invoice finance company and a trusted financial services partner to over 7,500 businesses in the country. Having many years’ experience of helping SMEs solve their funding needs, Cashflow Finance Solutions will give you honest, impartial and free advice and will find you the best deal to help your business grow. An SME funding business expressly designed to provide cash to business owners, with three simple conditions… they get cash when they need it; they pay only for the time they need it (and not when they don’t) and they won’t be required to sign up to long term contracts with complex fee charges. Specialist provides of debtor-based funding solutions to the UK’s SME market. An invoice and credit solutions business, specialising in invoice finance and outsourced credit management. Skipton Business Finance provide SME businesses with working capital through flexible Invoice Finance solutions, including invoice factoring and discounting. Ultimate Finance Group is a leading provider of cashflow solutions to SMEs across the UK. Working Capital Partners help people business owners to release the cash they need for running and growing their business. If you or your business is facing insolvency, contact us or call us on 0207 831 1234 for an initial FREE chat about the way forward. If you decide to retain our services as Licensed Insolvency Practitioners, firstly we will listen to your problems and we will always work closely with you. 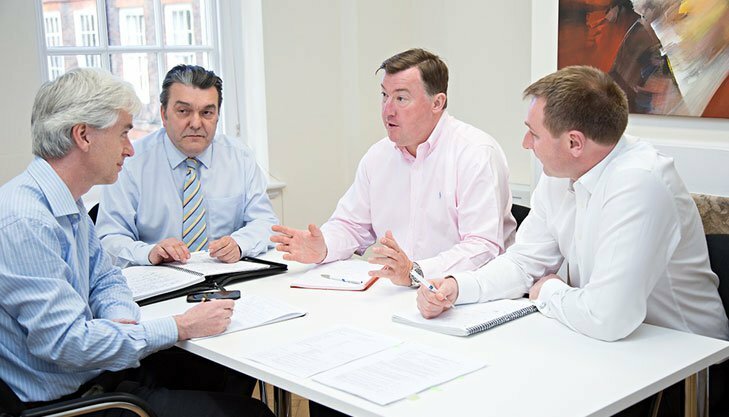 We will use our skills, experience and expertise to tailor an insolvency solutions plan that is right for you and your business.